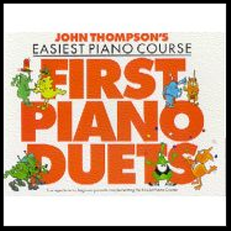 Piano duet sheet music for beginner or late elementary pianists. Garry Owen is a catchy Irish tune with a fun driving rhythm! Now you will notice the arrangement of this duet is like a choral piece, or a band director's score! I wrote it this way so I could hear it re-played on my computer (and check accuracy), and haven't gotten around to putting the two parts on two different pages. 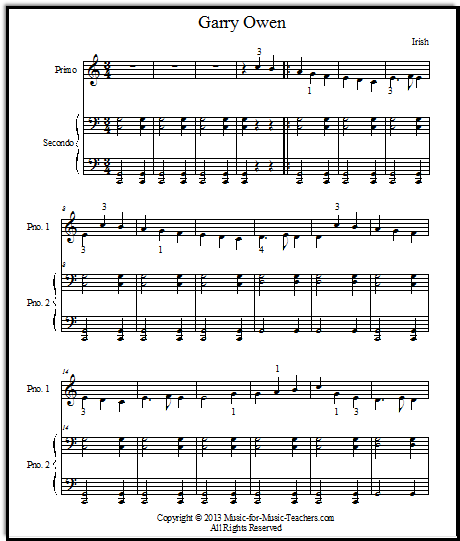 It hasn't been a problem for my students; in fact, they have found it interesting to read the score this way. They can watch their partner's music to help them plan when to enter, etc. I tell them, "When Mr. Lenhard (our local band teacher) is conducting the band, he has to read a whole page of instruments all at the same time." I let my finger slowly scan from the top of the page to the bottom as I say, "The piccolos and flutes, the clarinets, the oboes, the saxophones, the trumpets, French horns, trombones, tubas... all the way down to the percussion. He has to turn pages FAST!" Then they realize I am not asking them to do something impossible, but something challenging and COOL. In the Primo, the student's thumbs do NOT go together, but are side-by-side. The left hand uses the 3, 4 and 5 fingers a lot, which can be hard for beginners when moving fast. 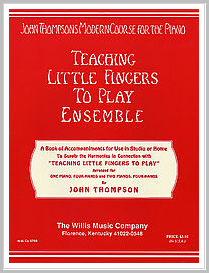 That's okay -- tell them that's what their scales and exercises are for -- to increase finger coordination. The Secondo is actually easier than the Primo, because the chords change very little, and the changes are easy for the careful listener to anticipate! 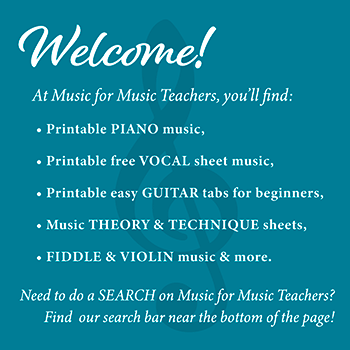 Halfway through, at the top of page 2, there is a broken chord pattern which may be entirely new for your students, if they have never played chord inversions before. I recommend preparing them, if they have only played chords as 5ths. 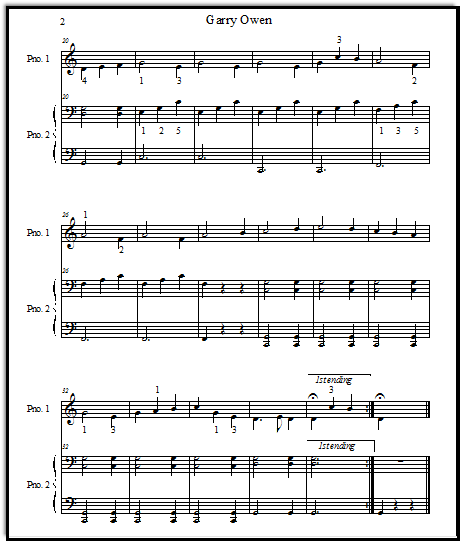 The practice of reading two bass staffs for your part is bound to be a little baffling at first for your students -- but that's one of the benefits of duet songs. Practice makes perfect -- or at least builds confidence!